HÀ NỘI — Vietnamese shares suffered one of their sharpest drops ever on Thursday after Wall Street’s worst losses in eight months triggered a surge of global selling that hit markets in Asia, too. The benchmark VN Index plunged 4.84 per cent or 48.07 points to close at 945.89, marking the worst decline on the benchmark index since early July. The southern market index dropped 0.22 per cent on Wednesday. The HNX Index on the Hà Nội Stock Exchange plummeted 5.79 per cent or 6.59 points to end at 107.17. The northern market index lost a total of 2.16 per cent in the previous four sessions. Poor market sentiment resulted in a large-scale sell-off that pulled 458 stocks on the two local exchanges down while only 59 stocks made gains. 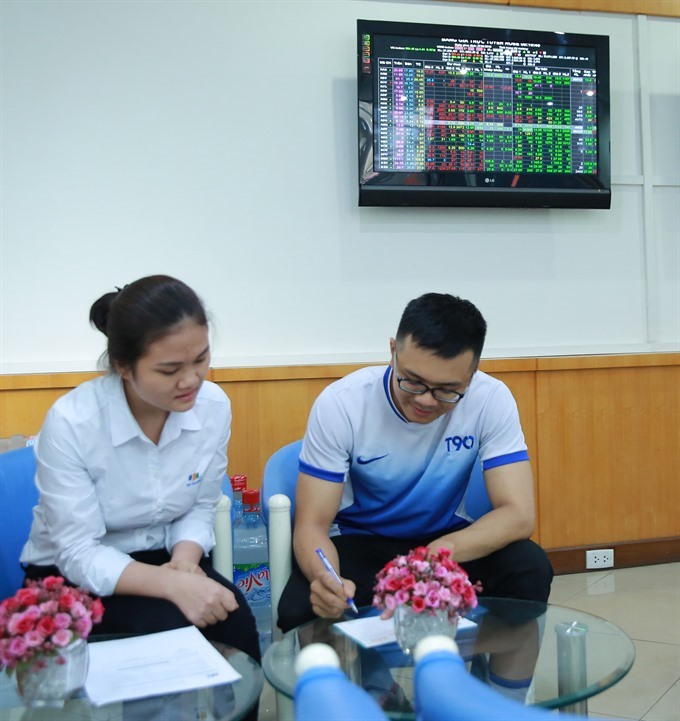 Market liquidity on Thursday increased sharply from the previous sessions, with more than 455 million shares traded on the two local exchanges, worth VNĐ9.2 trillion (US$392 million). Large-cap stocks also sank as all 30 stocks in the VN-30 basket lost ground, including 11 stocks that hit their floor prices. The large-cap VN30 Index fell 4.79 per cent to end at 920.02 points. Local shares moved in a negative direction after global markets were hit by a massive sell-off in the US stock market on fears of escalating US-China trade tensions and further US rate hikes, according to Nguyễn Xuân Bình, a senior analyst at BVSC. All groups of stocks slipped on Thursday, but oil-gas stocks experienced the sharpest decline with a loss of 6.69 per cent. Large-cap oil-gas stocks such as PetroVietnam Gas JSC (GAS), PetroVietnam Technical Services Corporation (PVS) and PetroVietnam Drilling & Well Services Corporation (PVD) all hit their floor prices. Bank and real-estate stocks subsequently plunged by 6.49 per cent and 3.82 per cent. According to BVSC, after the slump on Thursday, a number of stocks fell to attractive price ranges. In the next few days, the market may recover thanks to bottom-fishing cash flows. However, this could be a technical recovery after a tumble.